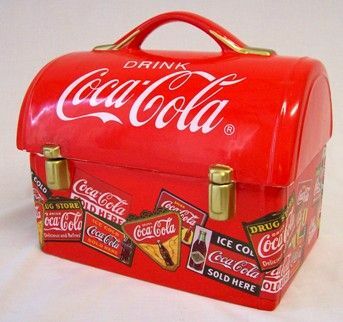 The most prolific advertising company jars in the past few years have been Coca-Cola jars. 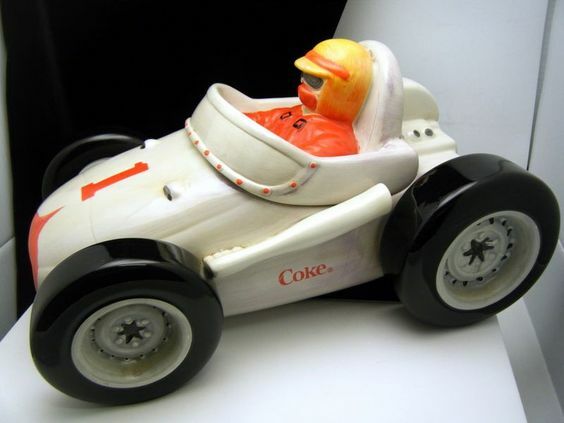 There have been literally dozens made depicting a variety of images like polar bears, coke cans, trucks, and racing cars. Most of the jars are relatively inexpensive, but there are a few jewels in the group. 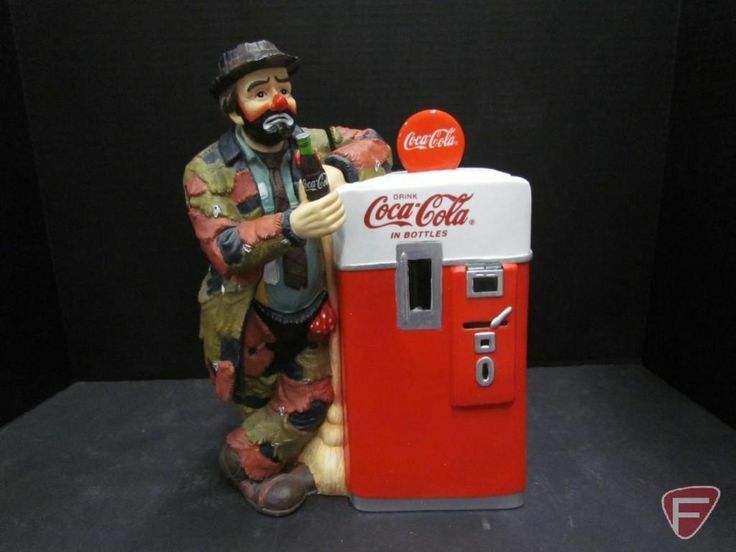 The Emmett Kelly jar made by Stanton Arts is the most valuable of the Coca-Cola jars, followed by the two McCoy made jars, a jug, and a large Coca-Cola can. 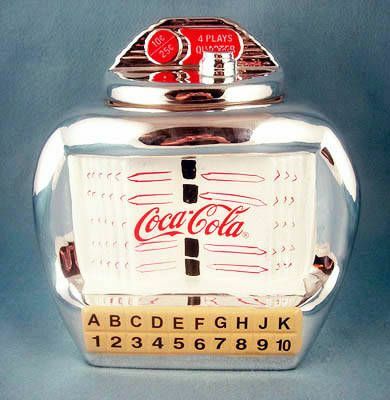 One of the more valuable of the Coca-Cola collection of jars, this limited edition jar (there are 5000) has a very unusual flat, bisque finish. Another plus is the cross-collectible appeal. The jar was part of the Century Collection 1898-1998. Produced by Stanton Arts, the issue price is $75 and the estimated current value is $250 to $300. Produced by Sakura in 2002, this cooler jar is available at Walmart. Its issue price is $14.95. 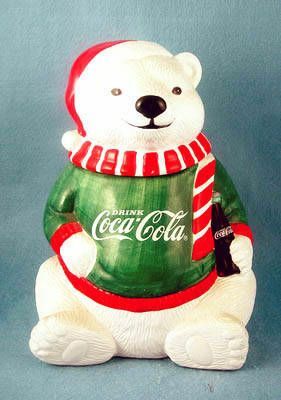 Marketed by Houston Harvest Gifts, this classic polar bear can was issued in 2004. Its issue price was $12.95. Say what you want about Walmart, if you’re a cookie jar collector, Christmas usually means lots of stuff showing up at the stores. And the prices are usually pretty cheap. Sometimes the jars also look pretty cheap, but occasionally there will be some nice pieces. 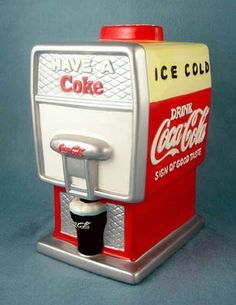 This coke can jar was one of the nice ones. Well-made, but still pretty cheap! Produced by Gibson, this jar stands at 11″ tall. It was issued in Fall 2002 at a price of $15. Produced by Sakura, this race car jar was issued in 2004 at a price of $14.95. It is approximately 13.5″ in length. 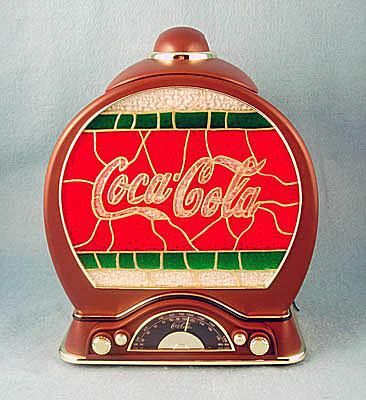 There is an actual radio in this cookie jar!​ Made in China, this cookie jar is 11 1/8″ tall and was issued in 2004 at a price of $70. 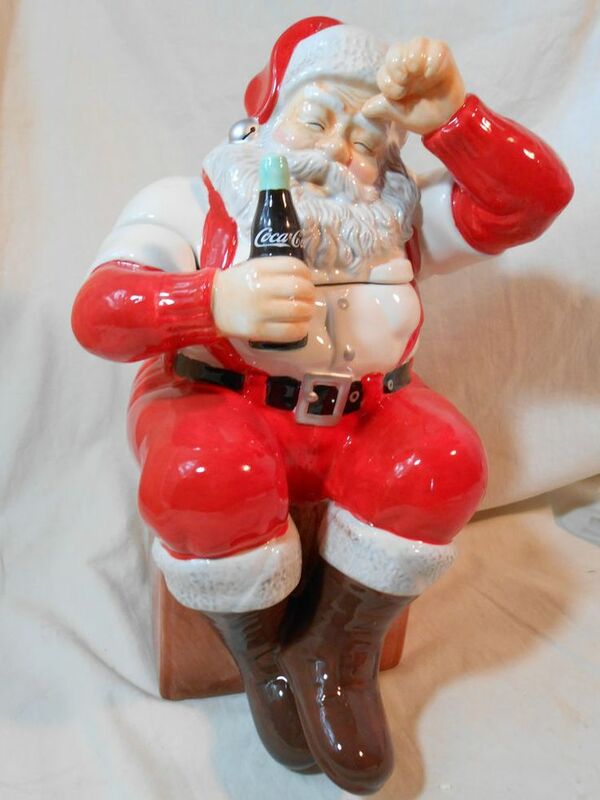 Produced by Gibson and made in China, this 2001 issued cookie jar is 11 5/8″ in height. Its issue price was $15.98. This is another case of two very similar jars produced by two different companies. 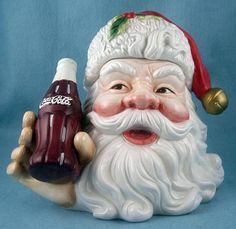 Unlike the above jar, this vending machine cookie jar is produced by Enesco, but also made in China. It is 11.25″ tall and was issued in 1995. 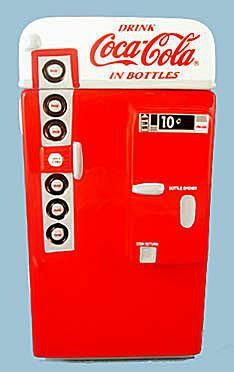 Though the idea of making a jukebox cookie jar is a novel idea, it is not a well-done jar. The quality is reflected by the low issue price of approximately $15. 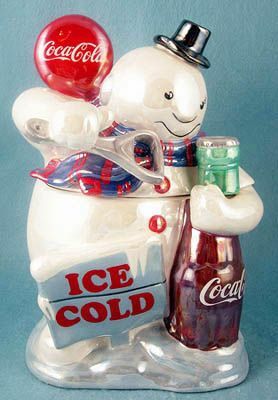 Distributed by Houston Harvest, this cookie jar sporting a retro looking fountain was issued in 2002. It is 9.5″ tall for size. Sold in Walmart and made in China, this 8 5.8″ tall jar has an issue price of approximately $15. 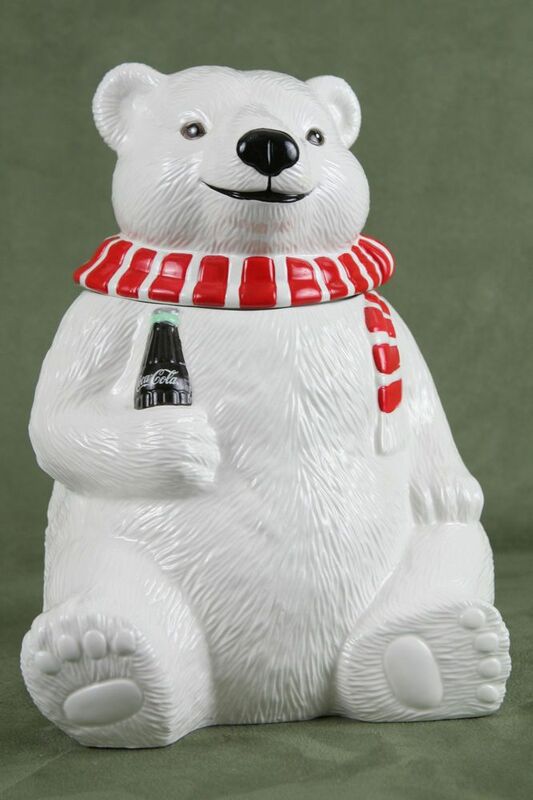 This adorable cookie jar showing a polar bear cradling a cub is available through Teleflora. It is 10.25″ tall and was issued in 1998. The issue price was $25. The weather must be chilly for a polar bear to be sporting a sweater and scarf! Made by Cavanaugh and made in the Philipines, this jar was issued in 1995. This limited edition jar is 9 7/8″ tall. 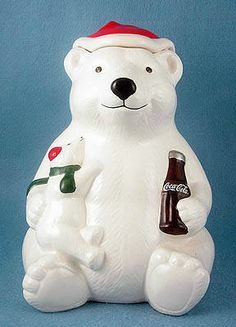 Possibly the first Coke bear full-figured jar that was issued, this jar is made by Cavanaugh. It was issued in 1994 at an issue price of $39.95. This jar has a very different look it which makes it really fun! Made by Cavanaugh and made in China, this 10.5″ tall jar was issued around 2004 at a price of $35. There are most likely two versions of this jar, made by different companies and different in size. This one is made in China and is Earthenware Brand. 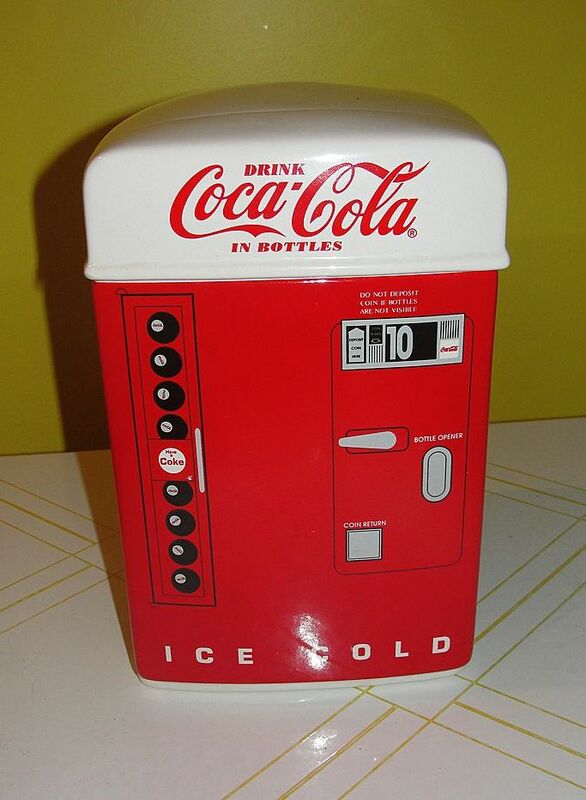 It is 13″ tall and was issued in 2002 at a price of around $20. Made in China, this 10.75″ jar can be purchased at Cracker Barrel. It was issued in 2001 at a price of $29.95.